Thirty-four years after its initial publication,. 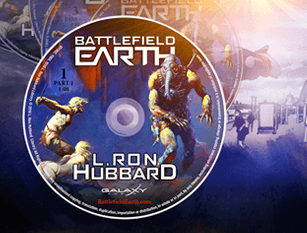 L. Ron Hubbard’s timeless science fiction classic Battlefield Earth has once again burst onto the sales charts, soaring to the top of the bestseller lists. 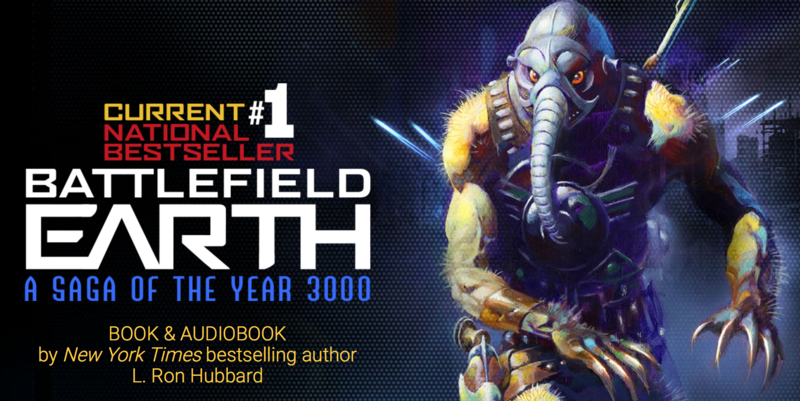 Thirty-four years after its initial publication, L. Ron Hubbard’s timeless science fiction classic Battlefield Earth has once again burst onto the sales charts, soaring to the top of the bestseller lists. Battlefield Earth captured the #1 book slot across the board at Barnes & Noble and Books-a-Million, as well as ranking #1 in science fiction & fantasy at Amazon.com this past week. The release of the 21st century edition of Battlefield Earth kicked off and began with an alien spaceship crashing on Hollywood Blvd announcing the release of the 21st century edition of Battlefield Earth. Enthusiasm quickly built over the new edition, with features now containing a fresh new cover designed painted by famed illustrator Frank Frazetta, along with an additional 50 pages of new content. With 19 New York Times bestsellers and more than 350 million copies of his works in circulation, L. Ron Hubbard is among the most acclaimed and widely read authors of our time. In celebration of his fiftieth anniversary as an author, he again returned to the forefront of popular literature with his monumental epics Battlefield Earth and the ten-volume Mission Earth series. Together, these titles dominated international bestseller lists for 153 weeks, and still remain among the all-time classic works of modern speculative fiction. 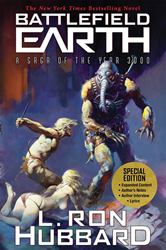 Get more information on Battlefield Earth and L. Ron Hubbard at http://www.BattleFieldEarth.com and http://www.GalaxyPress.com and follow @BE_The_Book on Twitter.